The Great Gatsby is revered as one of the cornerstones of American literature. F. Scott Fitzgerald's seemingly effortless prose as his characters experience the joy and the tragic demise of the American dream is required reading for most students. Many book lovers cite this slim novel as one of their favorites and it has been analyzed by literary scholars for decades. Are there really any new discoveries to make in West Egg? It turns out that Sarah Churchwell's insightful and nuanced research does reveal new discoveries. The title is, of course, lifted directly from The Great Gatsby when Nick refers to Tom and Daisy Buchanan as careless people. The construction of Careless People is incredibly meticulous. Each chapter of the book is informed by the matching chapter in The Great Gatsby while also moving chronologically through Fitzgerald's life during the writing and publication of the novel. Churchwell strives to bring to light the sources behind the novel, which Fitzgerald somewhat ambiguously noted with just first names or "that day in New York," for example. A good portion of the book looks at the possible inspiration of a real life murder mystery. In 1922, a rector named Edward Hall and his mistress Eleanor Mills were brutally murdered and the case was never solved. The case became somewhat of a media sensation and while we know that Fitzgerald was aware of it, it is difficult to tell just how much it informed his novel. While the complete bungling of the case by the police will make you very appreciative of modern crime solving techniques, Churchwell spends a great deal of time on this perhaps incidental event. At the time of publication, The Great Gatsby was trashed as just being a snapshot of one moment and actually compared to the newspaper. Of course, over time, we have seen just how timeless Fitzgerald's slim novel was and continues to be. Ms. Churchwell brings it back into its own time period, examining the cultural nuances that informed the beloved tale. At times, the writing in Careless People is just as soulful and lyrical as the author whose story it tells. 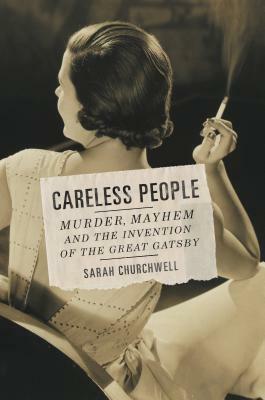 Churchwell finds a good balance between fact and speculation as we dive once again into the Roaring 20s and the tumultuous lives of Scott and Zelda Fitzgerald. Careless People is a must read for any fan of Fitzgerald and perhaps most telling, the book inspired this admirer to go back to visit Nick, Daisy, and Gatsby again. This books sounds right up my alley. Cultural criticism, historical context, good writing and all about a great novel? Yes, please! I will most definitely be on the lookout for this one. Thanks for the review! I'm glad I played a part in convincing you! I found it a very interesting read and Churchwell is a beautiful writer. I've always liked Fitzgerald...and have always been fascinated by when he lived and his life and his wife...thanks for the heads up on this book. I definitely want to check it out. Have you read Gatsby's Girl by Caroline Preston? It's about Fitzgerald and one of his first loves, but I haven't read it yet. Just wondered if you had. I have not read that one, but I will definitely look into it. Thanks so much for the recommendation!